Lord Crewe's Trustees have had a long association with North Sunderland and Seahouses. They owned the harbour there, developing it in the 19th century as a centre for the herring industry and for the export of corn and lime, and building and opening a new harboour in 1889. 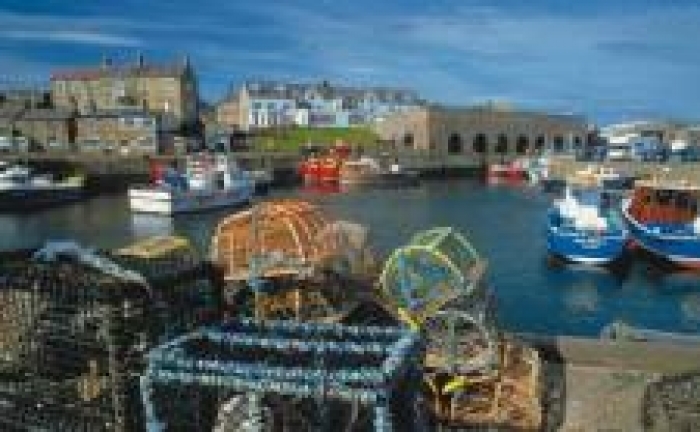 The Seahouses Estate extends to some 2,500 acres and is a mixture of agricultural, commercial and residential enterprises in and around the town, together with off-lying farms at nearby Fleetham and also at Thornton. There is one farm at Seahouses, which is a popular seaside resort, and the Estate also includes commercial properties within the town, such as the caravan park, the town's car park, a crazy golf course, and a conventional golf course run by the Seahouses Golf Club. At Fleetham, to the south west of Seahouses, there are two more farms, some individually let fields, four cottages and a garage. In the Tweed Valley at Thornton there are three mainly arable farms, with farmhouses, cottages and buildings.